Maquoketa Valley won a triangular with Central City and Alburnett at Meadowview in Central City. The Wildcats had a team score of 212; Central City was second with a 221; Alburnett 3rd with a 269. Madi Fleming of Central City was medalist with a 46. Kelly Winter of Maquoketa Valley tied for 2nd with a 48 to lead the Wildcats. Faith Hunt had a 54 while Mady Moenck and Chloe Roling each shot a 55. West Delaware fell to DeWitt Central 170-174. Tyler Langel of West Delaware tied Jacob Brainerd of Central for Medalist honors with a 40. Brandon Larsen shot a 44; Gavin Soppe and Clayton Haigh each shot a 45. The JV beat Central DeWitt 205-224 and were led by Mitch Ungs with a 48. Lukas Meyer shot a 49; Matt Salas 51 and Gavin Tucker 57. 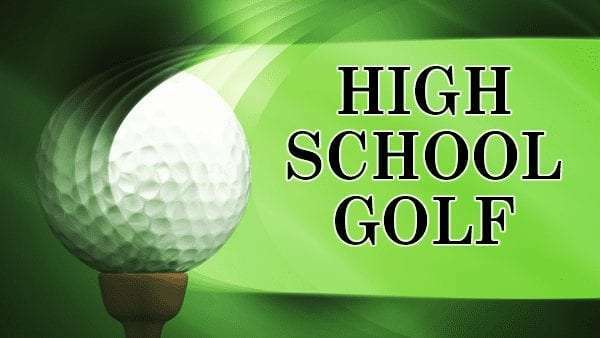 At Meadowview in Central City…Alburnett won a triangular with Central City and Maquoketa Valley with a 186…Central City shot a 200 and MV had a 245. Austin Huber of Alburnett was medalist with a 44. Isaac Zirtzman led the Wildcats with a 48; Morgan Hermansen had a 64; Tony Offerman shot a 65 and Garrett Lahr contributed a 68. Maquoketa Valley hosts East Buchanan today at Hart Ridge.